The weather has cooled off recently and it has felt more like Autumn than summer in my neck of the woods. 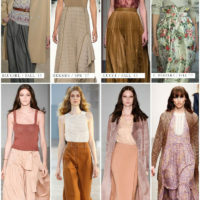 Autumn is my favorite season and already I am scouring the internet for inspiration for my Fall wardrobe! I know I have said this before, but it bears repeating that I don’t really follow modern day fashion. 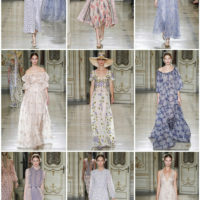 Which is probably why I am profoundly in love with Luisa Beccaria. Their designs just understand my vintage loving heart so much, but it’s for a modern gal. Not for one who wants to go about appearing as if she wear in costume. 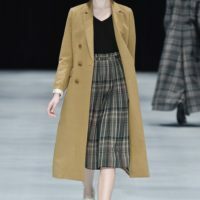 The Fall 2015 RTW collection (I know, it’s 2016…again, does it matter with vintage inspired fashion?) has so many vintage influences throughout! From the 1920s, the 1930s, the 1940s, and the 1950s! How many details have you noticed from all these eras? I also love the grey and deep blue color scheme. The royal blue highlights are not my favorite, but royal blue (or jewel tones in general) are colors I really don’t care for. 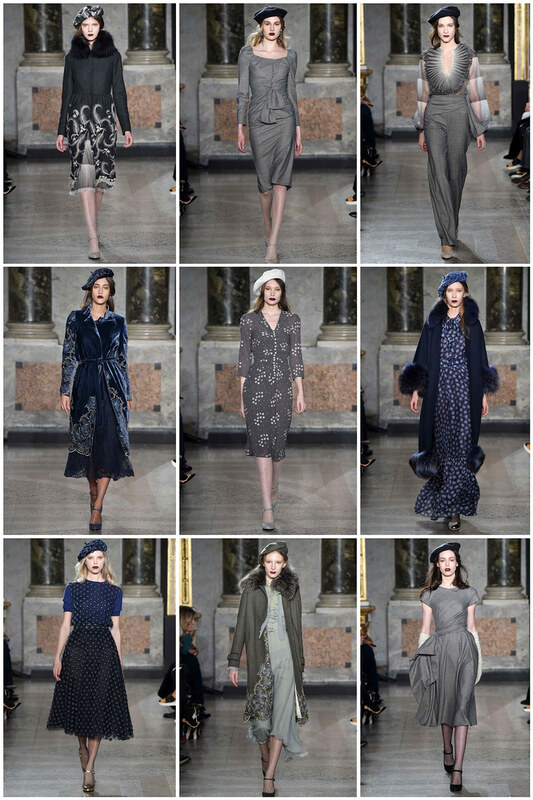 I ADORE, ADOOOre the berets in each of these ensembles and the fishnet tights! I am DEFINITELY going to wear fishnet tights this upcoming Autumn season!